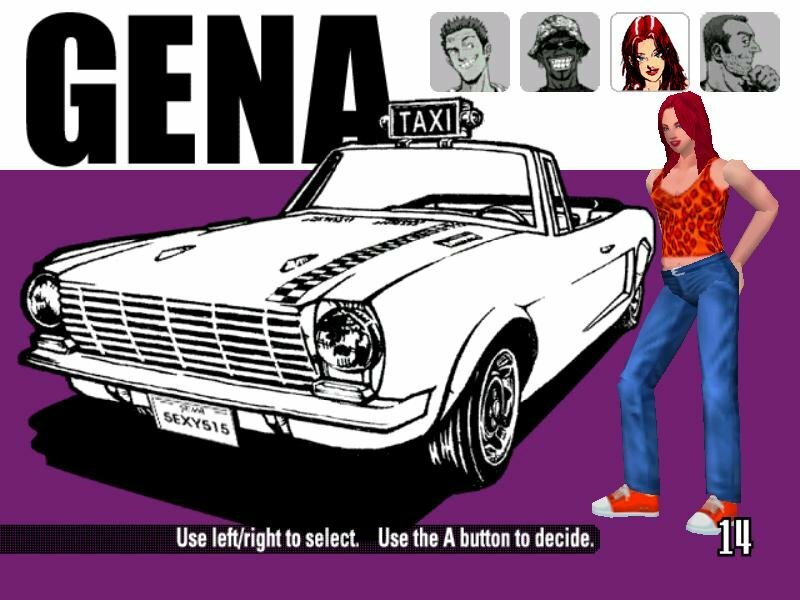 It’s like Grand Theft Auto 3’s taxi missions… on crack. 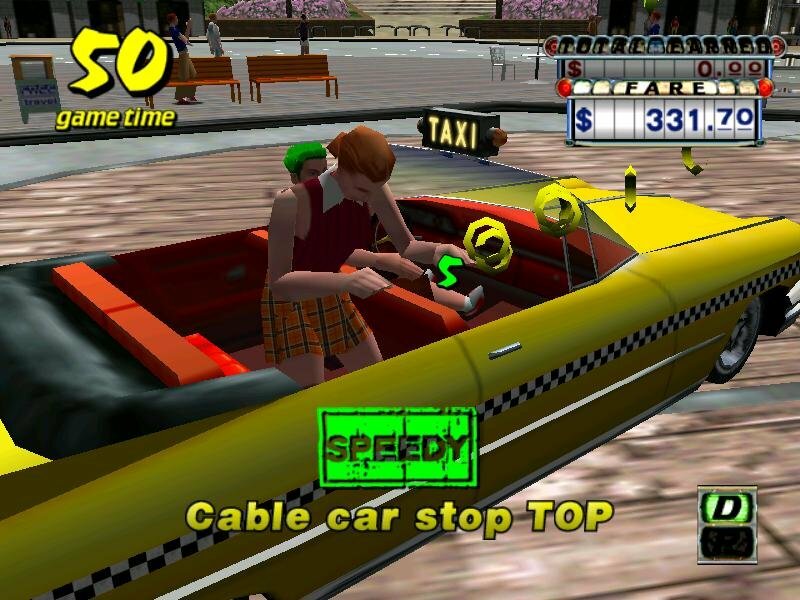 True to its name, Crazy Taxi is all about delivering customers to their destination with the maximum amount of stunts and reckless driving along the way. 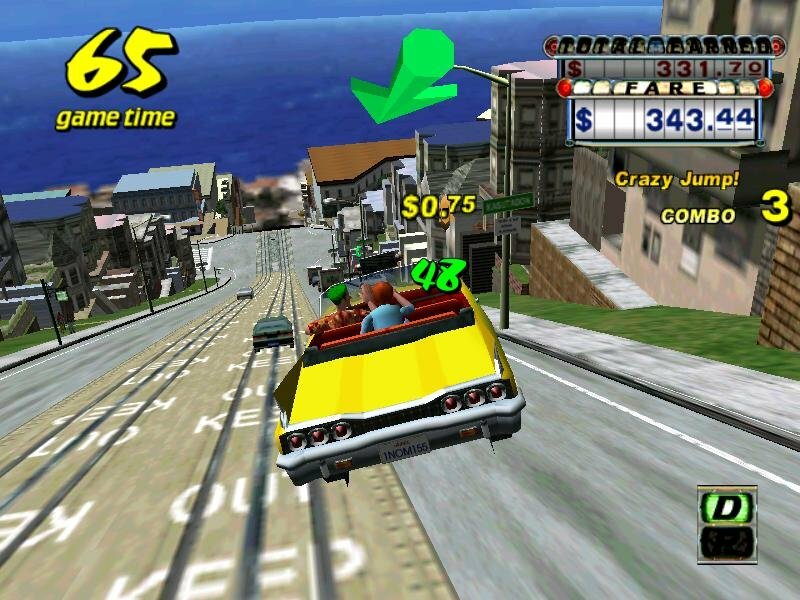 The challenge is that you have to get all of your fares to destinations on time, driving as quickly but crazily as possible. 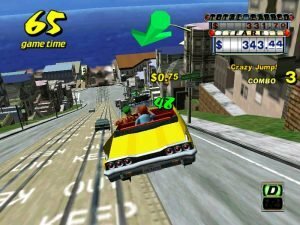 Crazy Taxi has an arcade-ish approach to gameplay, so there aren’t any aspects that will even resemble that of a driving sim. 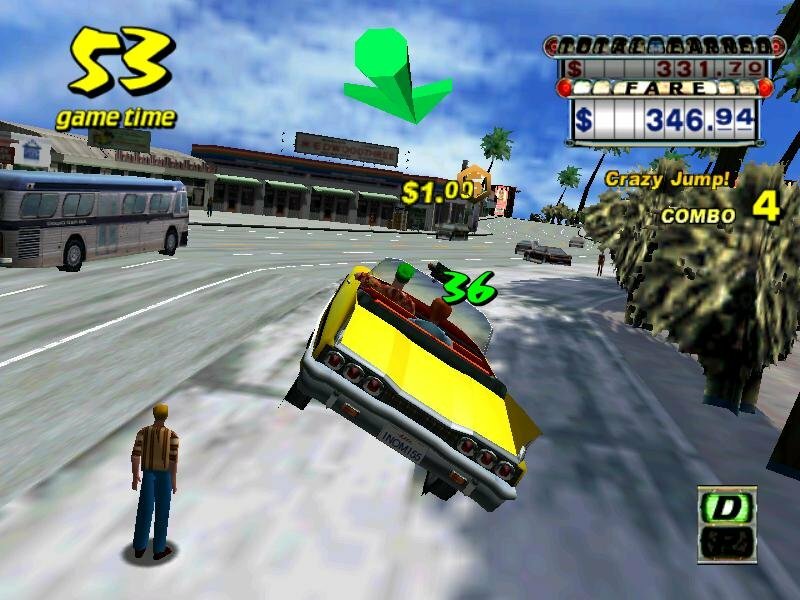 The game is fast, goal-driven action, which means you’re required to gain as much cash and pick up as many customers as you can within the time limit. 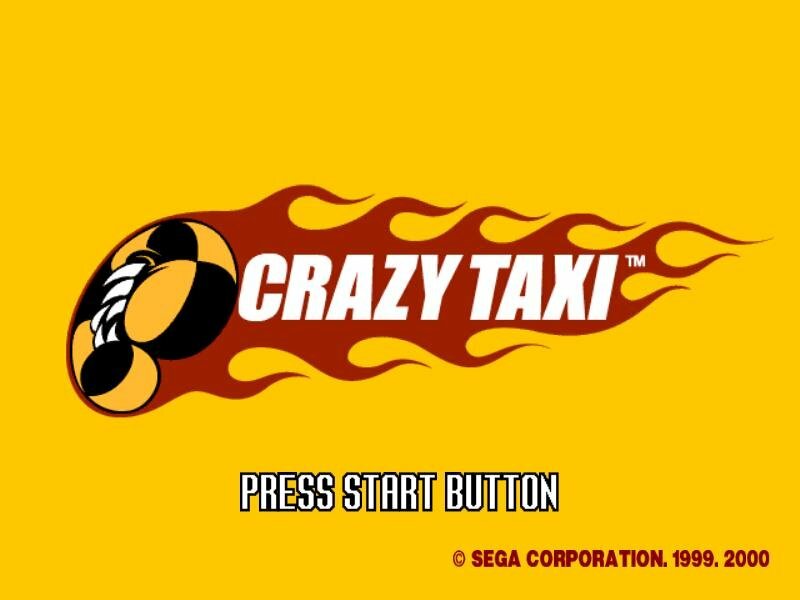 Driving in Crazy Taxi is exciting for one reason and for one reason only – you can do almost anything that’s physically impossible. 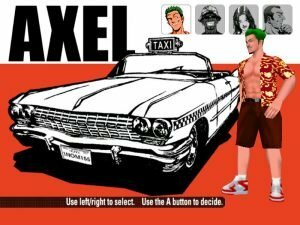 While you race through jam-packed traffic, your cab is apt for performing any maneuver you wish. 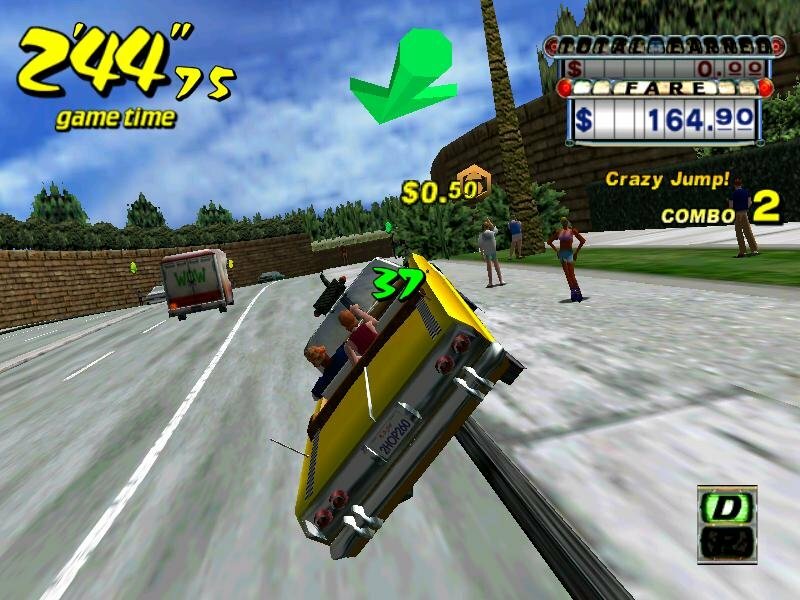 Your car is capable of going over railings, crash into cars or roadside objects, or launch from ramps into the air. 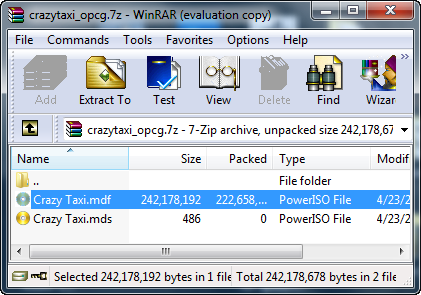 Basically every level prop that isn’t nailed down can be crashed and trashed. That’s all very well, but the fun ceases when you realize that your activities are restricted to just two cities, but which admittedly are huge and will require some time to fully explore. 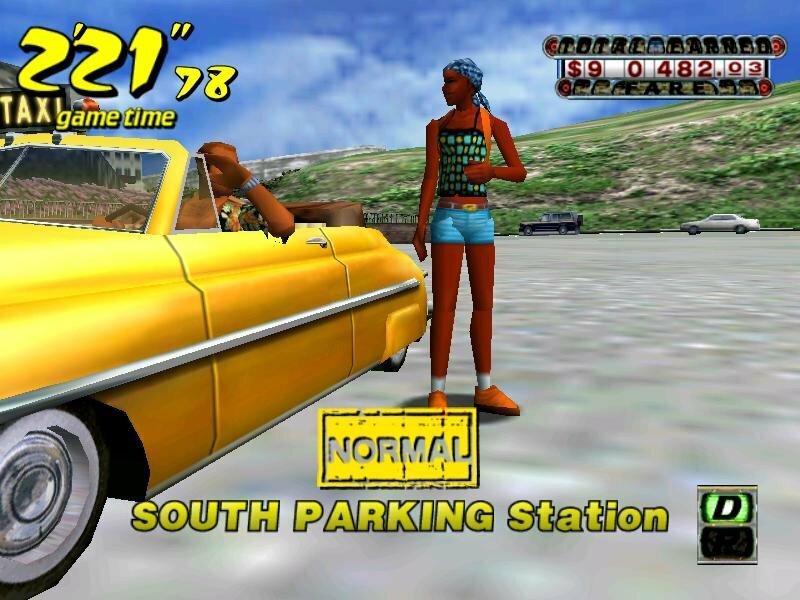 Anyhow, after playing for awhile, you could become really addicted if it weren’t for slightly outdated graphics. 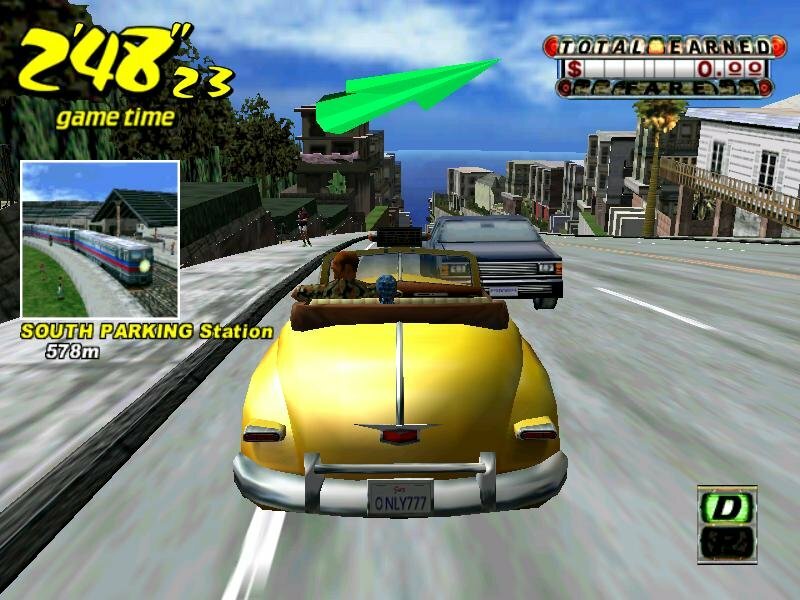 Although released in 2002, the game is based on a 1999 console game – and it shows. 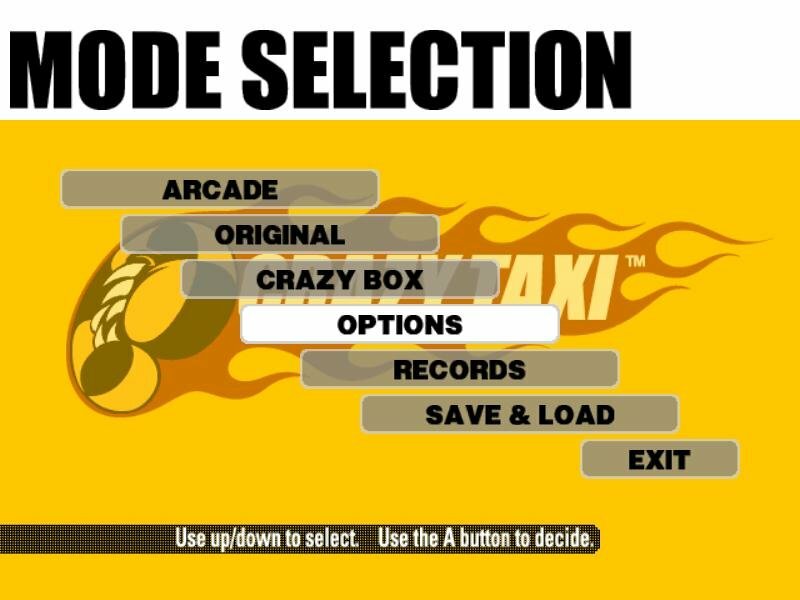 Crazy Taxi has very console-like control. 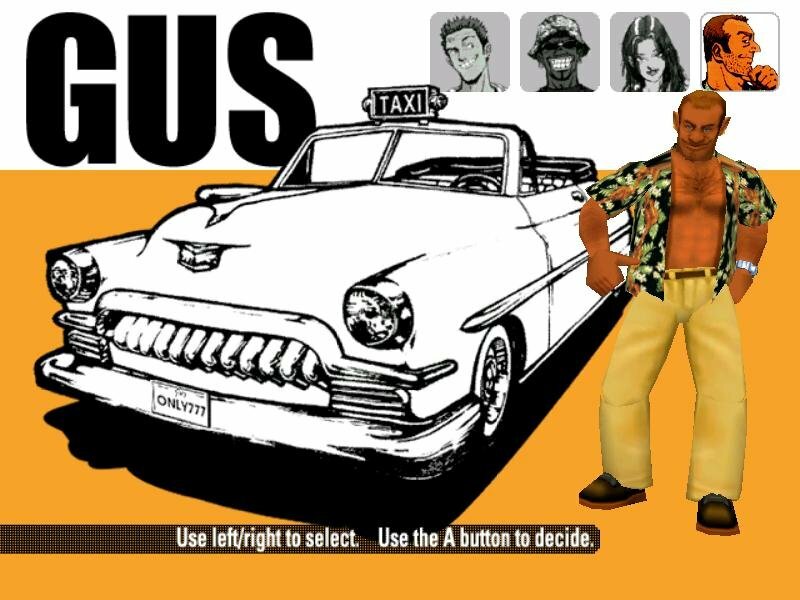 Out of the four vehicles you get to drive, each one will handle perfectly on the road. 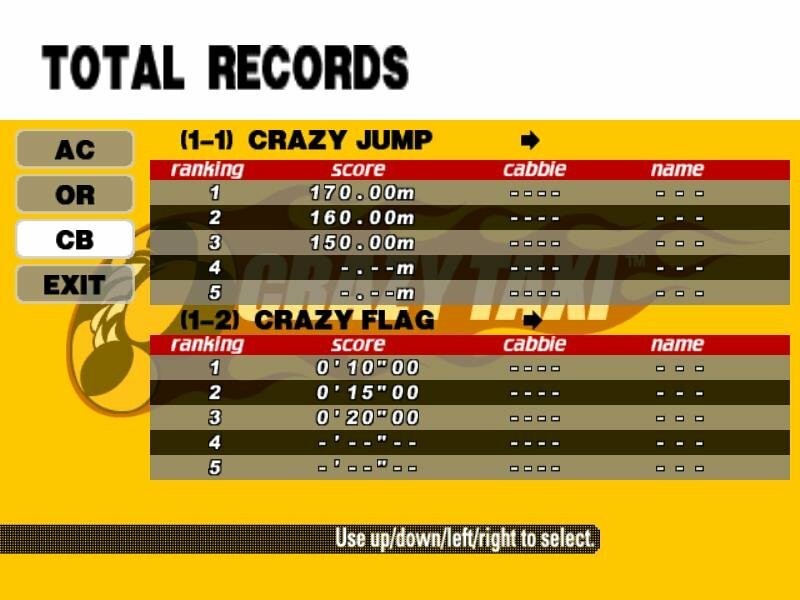 Some of them are slower but more resistant to collision forces, while others are faster and lighter, but extremely sensitive to impact. 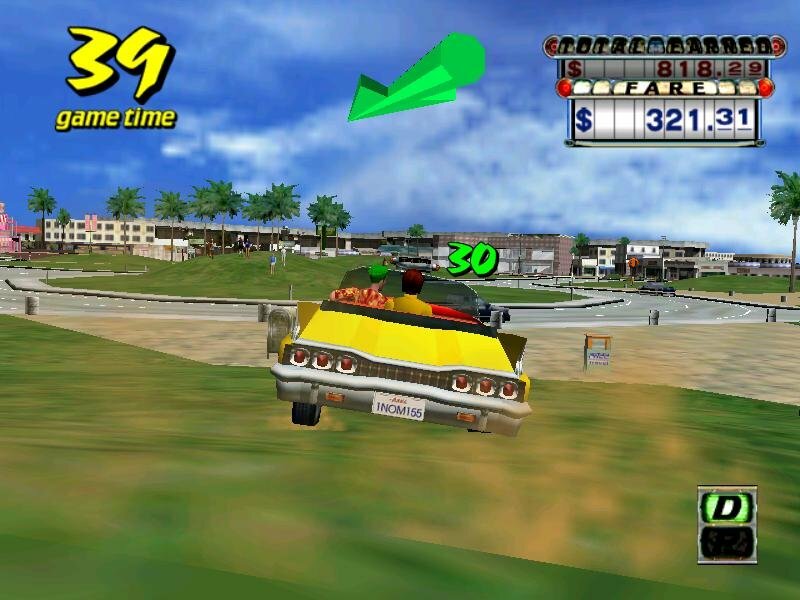 Although the cars do not display any kind of damage on their exterior, which I consider to be a tremendous drawback. 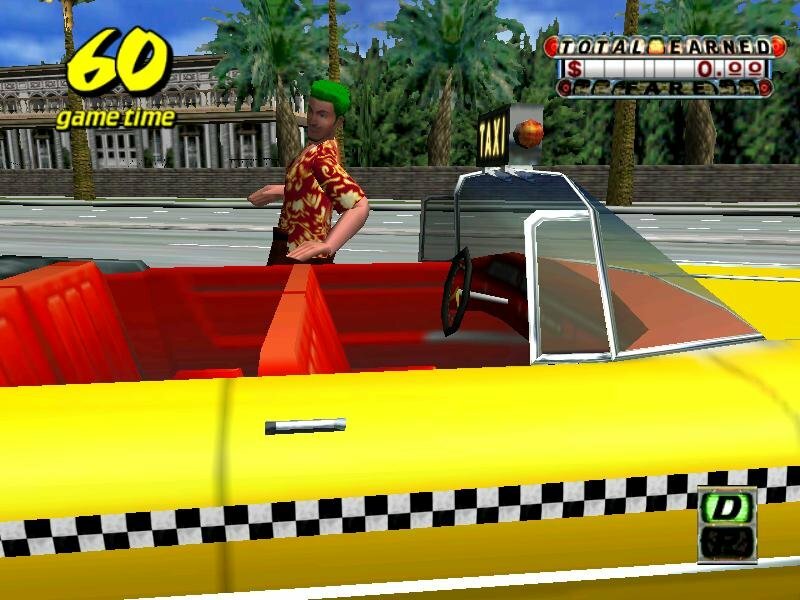 In a nutshell, Crazy Taxi has a decent replay value that may hold your attention for a few days or so. 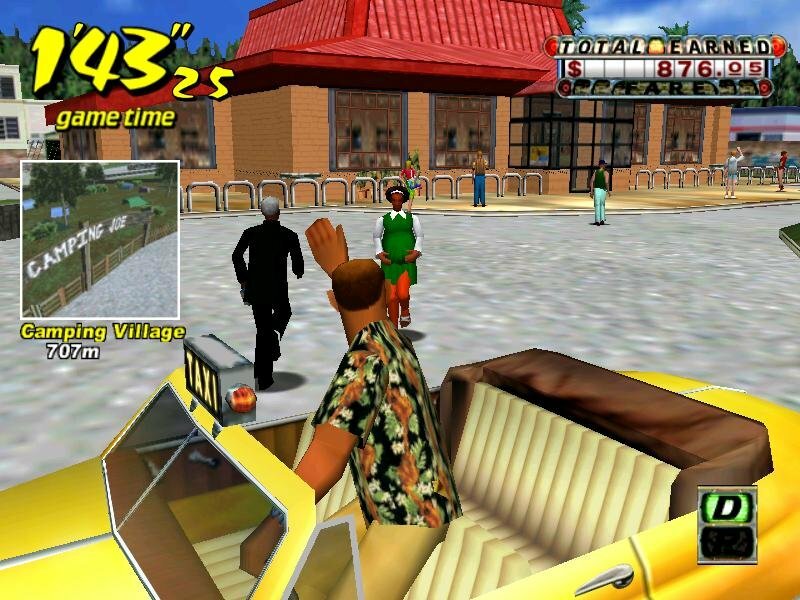 Offering a style of gameplay similar to Rockstar Games’ Grand Theft Auto 3, most notably its free-roaming aspect. 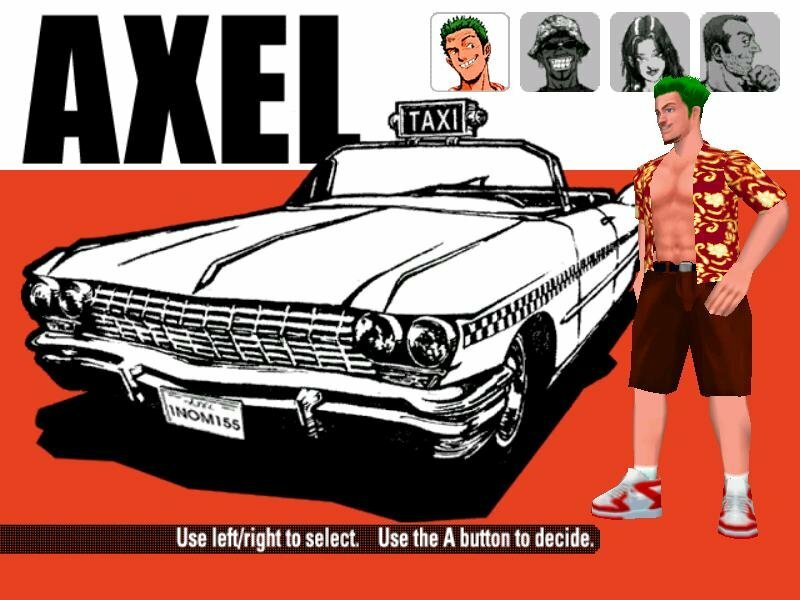 And optional taxi gameplay.